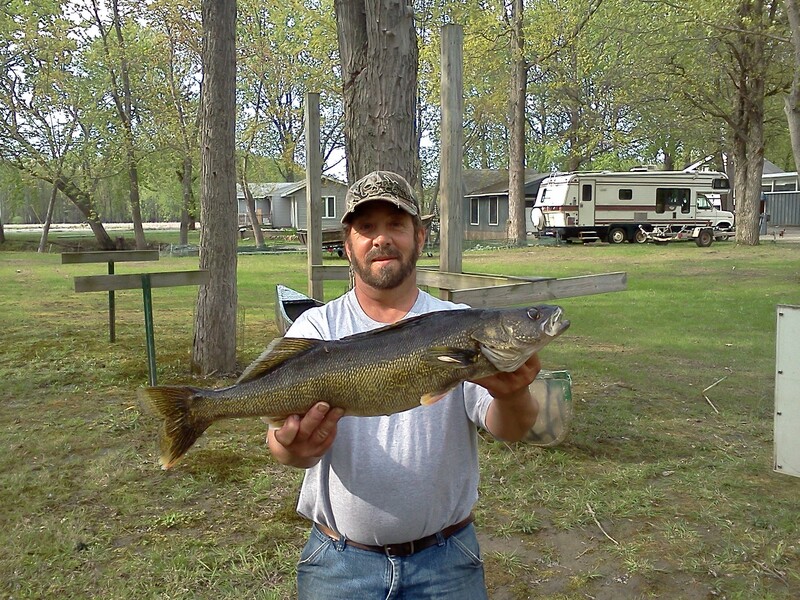 5-14-12 – Walleyes On Their Way Out? Vermont’s walleye season is in full swing and I’ve taken every chance I’ve had to get on the water with hopes of boating a few. Yesterday, I was able to get out with a few friends for some afternoon fishing. The weather was fair, partly cloudy skies with breaks of sun. Recent rain has pushed a lot of the fish out that had made their yearly migration up the river to spawn. There is eight miles of river that is fish-able from the mouth of the Winooski River up to the dam. Walleye will spawn all through that stretch with great concentrations the further you are up the river. When we get a lot of rain, those fish tend to start working their way back out of the river with the flow once they have spawned. This is a great time to hook into a walleye of a lifetime. I met the boys at the boat launch and they had already had some luck earlier that day. Dody was able to hook into a really nice fish that he was all excited about entering it into Vermont’s Master Angler program. The fish was about 30″ and pushing 7.5lbs, a dandy for sure. He caught it vertical jigging a 3″ Berkley Gulp Minnow. Considering it was a weekday there was a good amount of boats on the river enjoying a nice spring day. Many of the boats had put some fish on the stringer earlier dragging crawlers on the bottom. As the season progresses and the water warms up, this method becomes more and more effective. There’s really nothing to it. A hook and enough split shot to keep the crawler on the bottom and sit and wait. The walleye moving up and down the river will eat most things you put in-front of them but the hard part is finding a school and staying with them as they move. I know this sounds cheap but the easiest way to do that is to look for the boats concentrated in one area! I was dragging a crawler with one rod and vertical jigging a minnow with the other. The only fish I was able to boat all day worthy of the net was a really nice smallie that decided to pick my crawler up off the bottom. No walleye for me. 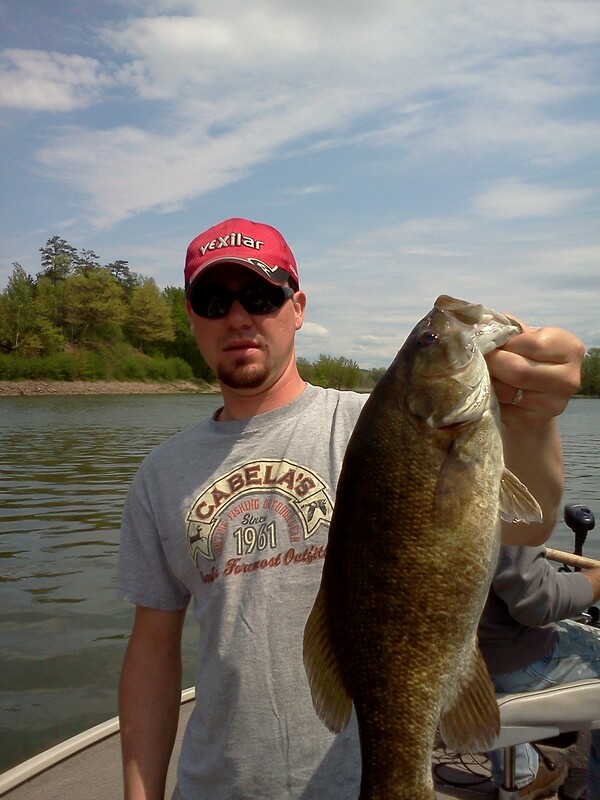 Scott from VT Sportsman was able to hook into a few smaller fish, two being keepers for the stringer. Hey, that’s why it’s called fishing right? I’ll give it another shot this weekend.